Q. What do these Venues have in common? "We got 65 bookings from a single Facebook post." "We are 33% up year on year in less than 3 months since working with you"
"How the hell are you doing this?" "We just hit £50,000 in sales from events alone in just 9 months!" "I wish we had chosen you in the first place as we just wasted 6 months being ripped off"
working with the largest companies in the UK. We can manage, design and deliver your direct marketing. We build interactive customer journeys, using the internet. Not just websites. A website alone won't work - we create your venue online! For over 10 years we have helped businesses to use social networks to grow their business. Our unique approach is not about status updates. We create engaged customer relationships. Why do Venues LOVE working with us? 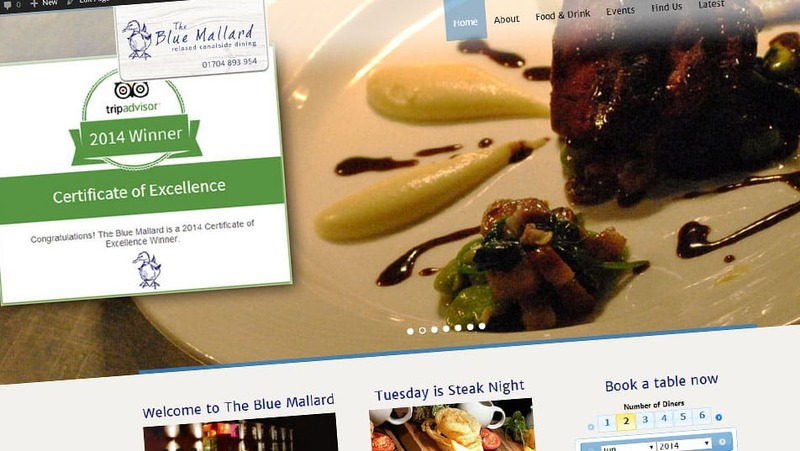 The previous Blue Mallard website looked ok but owner Chris didn’t feel like it was working as well as it could. We did some testing and discovered that 38% of visitors were coming from mobiles and tablets. Based on the trend, we estimated that this would quickly grow to over 60%. 12 months later, we were right! Redesigned website to be responsive (works on every platform). Built new customer journeys that would convert into bookings and sales. Installed a booking system and a voucher system to generate online sales. Developed new social media presences across Facebook, Twitter and other social networks. 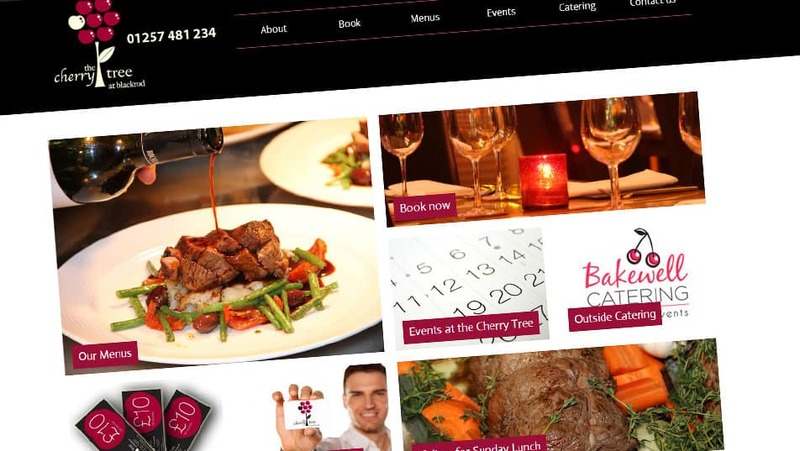 The previous Cherry Tree website looked ok but just wasn’t converting bookings and sales. We actually pitched for the work to redevelop it in late 2013, but weren’t selected. Just 6 months later, having invested several thousand pounds, they came back to us and asked if we would look at it again. We built new customer journeys that would convert into bookings and sales. Within 2 weeks, the Cherry Tree at Blackrod was breaking records for bookings. Starting with a new logo design and a rebrand for this country pub and restaurant. We re-branded the business – devised logo and name extension to improve online visibility. Set up and merged all existing social media presences. A single Facebook post generated 65 covers in a single evening after just 3 weeks. We constantly research new customer generation methods, so our customers are way ahead of the competition. It isn't enough to have a website - we make sure it is being found by the right people at the right time. With so much competition around, it is important to make sure your customers keep coming back to YOU regularly. This means constant engagement. Engagement is across may channels - direct, digital and social media are all elements you need to control, update and manage. Many restaurants and hotels use daily deal sites to generate customers. Our solutions can replace or augment these at much higher profit levels. What is the point of a website, social media or email marketing if they aren't increasing the number of bookings. We bring all of those elements together! A happy client is a good client. Customers who enjoy your restaurant will recommend it to their friends and family. We can do everything you need!